Samsung, a company that has for the longest time churned out their fair share of consumer electronics for the world in addition to hot selling smartphones, are back this time around with a couple of sizes under the same name – the Samsung Galaxy Mega. They sure as heck were not kidding with the release of the Samsung Galaxy Mega. This particular smartphone is said to come with the portability and convenience of a smartphone, in addition to having the power, multitasking capabilities and extensive viewing experience of a tablet. Yes sir, we are referring to the proverbial “best of both worlds” here, where you will be able to choose from 5.8” and 6.3” displays. Regardless of which screen size you decided to settle on its High Definition LCD display will obviously boast of landscape mode support, which delivers an exceptional widescreen view for a wide range of applications that range from web browsing to video, and SNS. Despite the rather large footprint, you can be sure that the Samsung Galaxy Mega is not going to be heavy on your pockets, since it is touted to be incredibly light and thin, delivering extreme portability and easy, convenient mobile phone use. There is the ‘Group Play’ mode that enables easy content sharing for up to 8 different devices on the same Wi-Fi network, while ‘Samsung WatchON’ is capable of transforming it into an IR remote controller, letting you enjoy a richer TV experience. ‘Samsung Link’ itself makes life a cinch, as you easily stream photos, videos, notes, or music to your TV, tablet or computer. The presence of ‘S Translator’ delivers instant translation, whether it relies on text or voice translation on different applications including email, and ChatON. Expect the Galaxy Mega to offer a range of applications such as email, messages, ‘MyFiles,’ ‘S Memo,’ and ‘S Planner’, among others, where it will also sport an 8-megapixel camera at the back and a 1.9-megapixel shooter in front, coupled with Android 4.2 Jelly Bean as the operating system of choice and a dual core processor. No word on pricing, but the Samsung Galaxy Mega will be available worldwide from next month onwards. 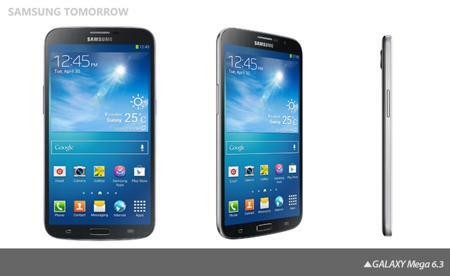 Thanks for the update regarding the device Samsung galaxy mega which is really looking a giant smartphone. Samsung is so eager to launch the smartphones very rapidly that still samsung galaxy s4 is not in the hands and they have announced their new device.